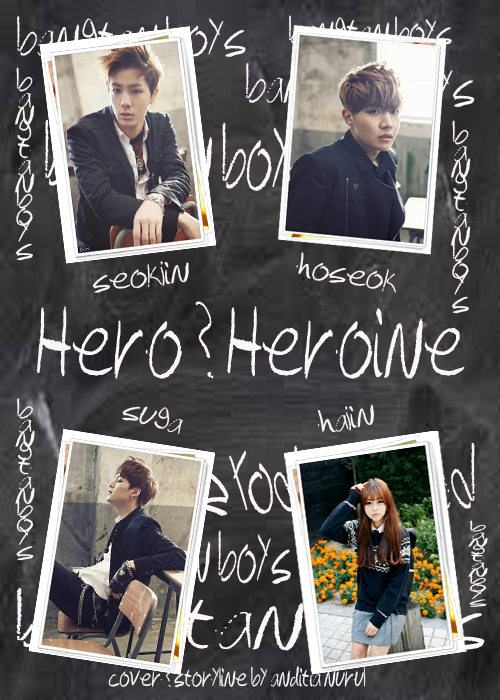 Author: Anditia Nurul||Rating: PG-13||Length: Chaptered||Genre: School-life, Friendship, Romance, a bit comedy||Main Characters: (BTS) Suga/Yoongi, & (OC) Geum Hajin||Additional Characters: (BTS) Jin/Seokjin, (BTS) J-Hope/Hoseok, (BTS) Jimin, (FX) Sulli & (A-Pink) Chorong||Disclaimer: I own nothing but storyline and the OCs. Inspirated by a fiction story titled ‘Crazy’ By Emolicious. Original ver casted by (B1A4) Jinyoung & OC||A/N: Edited! Sorry if you still got typo(s). [!!!] Used some ‘frontal(? )’ words. Please don’t bash! Author: Anditia Nurul||Rating: PG-13||Length: Chaptered||Genre: Fantasy, School-life, Friendship, Romanc, a bit Drama||Main Characters: (BTS) Jungkook, (BTS) Jin/Seokjin, (BTS) V/Taehyung & (OC) Oh Shina||Additional Characters: (OC) Jeon Junmi, (BTS) J-Hope/Hoseok, (BTS) Rap Monster/Namjoon, (BTS) Suga/Yoongi, (A-Pink) Bomi, (OC) Han Gyeoul, (BTS) Jimin, (OC) Chanmi & (OC) Han Ssaem||Disclaimer: I own nothing but storyline and the OCs. 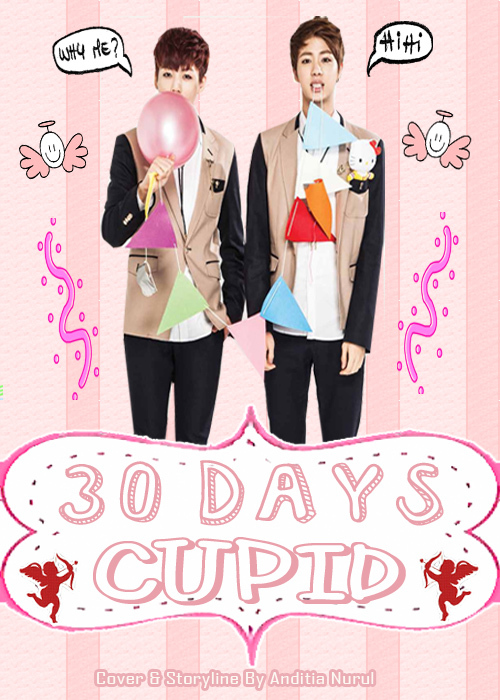 Inspirated by film My Name Is Love, Tooth Fairy 2 & Korean Drama 49 Days||A/N: Edited! Sorry if you still got typo(s).